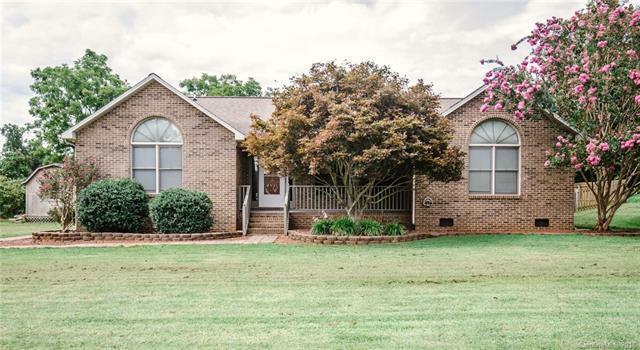 Full Brick, Well Maintained Ranch In Lakefront Community! Large Great Room with Vaulted Ceilings. Hardwood Floors and Gas Fireplace. Large bedrooms with high ceilings, Vaulted Ceiling in Master Bedroom. Large Master Bath with Whirlpool Tub. Carpet In Two Bedrm, One Bdrm Hardwood. Deck with Screened In Porch. Dogs will love Fenced In Yard. HVAC and Water Heater only 2 Years Old! Oversized Garage, 10x12 Shed. Bring Your Boat or RV! Shaded Rocking Chair Front Porch Perfect for Morning Coffee or Afternoon Sweet Tea.